Apogee Software has released "what's left of" the source code for Blake Stone: Planet Strike. Way back in 1993, Apogee Software was looking for something to duplicate the success of its mega-hit Wolfenstein 3D. The result of that search was Blake Stone: Aliens of Gold, an FPS based on the adventures of British space-age super-spy Blake Stone, who's sent off to assassinate some guy on a space station or something like that. Hey, it's been awhile. Anyway, it used the Wolfenstein 3D engine and in gameplay terms was pretty much Wolf3D in space, but it had a few extras and upgrades thrown into the mix, and it was fun. And now, for whatever it's worth, you can have the source code to its sequel, Blake Stone: Planet Strike, absolutely free! Most of it, anyway, or at least some of it; whatever's there to have, I guess. 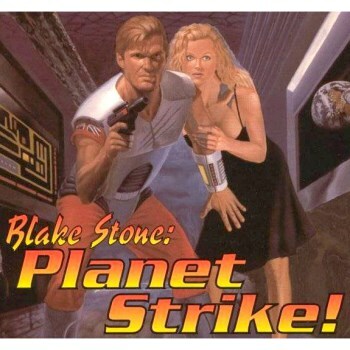 "After nearly 20 years, Apogee Software has unearthed the source code (or what's left of it) for their classic FPS, Blake Stone: Planet Strike," the studio announced. "This code (long thought lost) is being made available freely to the public as of today." "When we were selecting games for the Throwback Pack and decided to put both Blake Stone games in, I knew we had a golden opportunity to finally release the source code that Blake fans have been wanting for all these years," Apogee Chief Creative Officer Terry Nagy said. "And when I contacted Mike Maynard, he agreed that it was definitely about time. Nice to know that those old 3.5″ floppies retain data for so long." The Blake Stone games were pretty good fun (and yes, I did play the original) but they never came close to duplicating the success of Wolfenstein, for one good reason: Precisely one week after Apogee released Blake Stone: Aliens of Gold, the upstart id Software unleashed Doom on the world, and that was that.